While in Newfoundland . 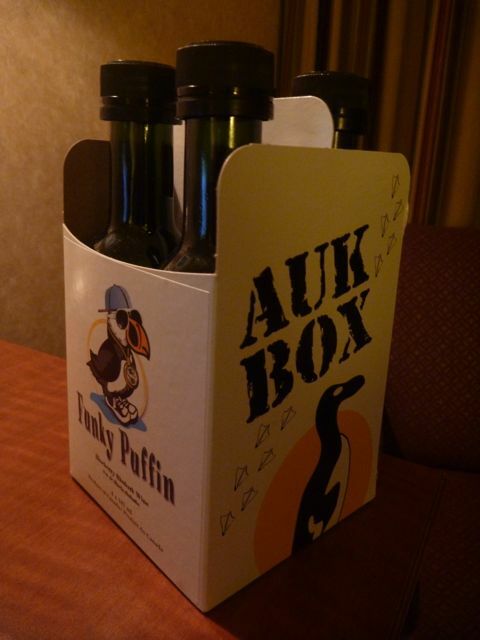 . .
Needless to say, I couldn't resist these cuties from Auk Island Winery in Twillingate, Newfoundland. 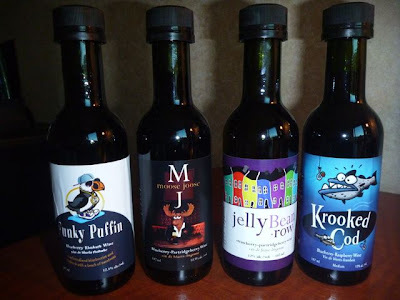 From left to right: Funky Puffin (blueberry & rhubarb), Moose Joose (blueberry & partridgeberry), Jelly Bean Row (strawberry & partridgeberry) and Krooked Cod (blueberry & raspberry). They come in a handy little Auk Box carrying case and it was ok to mix & match! 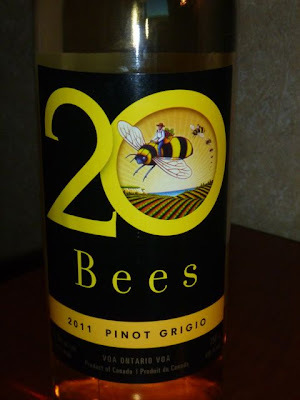 For more immediate consumption I picked up a bottle of 20 Bees pinot grigio. Again, chosen for the great label! But it was also a very nice wine made by Diamond Estates Winery, Niagara-on-the-Lake. 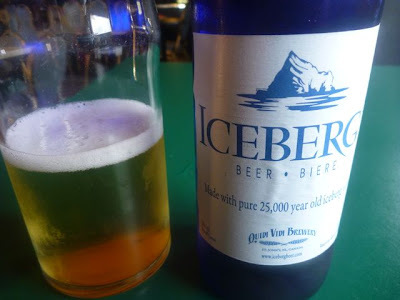 I had to give the local beer a try as well. The Quidi Vidi Brewery in St. John's is well known in the area and I really enjoyed their Iceberg ale. The blue bottles are unique! Good Thing We're Not on The Amazing Race!